Virginia Tech researcher Marc Edwards warned about dangerous lead levels in Flint, Michigan’s drinking water, two years ago. DETROIT — An expert who two years ago warned about dangerous lead levels in Flint, Michigan’s drinking water has declared a qualified end to the crisis. Virginia Tech researcher Marc Edwards said Friday that, after several rounds of testing, lead levels are back to normal — for a city with old lead pipes. He recommends the continued use of filters and warns of a “crisis of confidence” among residents who blame government for the water problems. Edwards’ team has collected samples from 138 Flint homes, with the fifth and likely final round last month. Flint’s water was tainted with the toxin for at least 18 months, as the city tapped the Flint River but didn’t treat the water to reduce corrosion. As a result, lead leached from old pipes and fixtures. An expert who two years ago warned about dangerous lead levels in Flint, Michigan’s drinking water has declared a qualified end to the crisis. 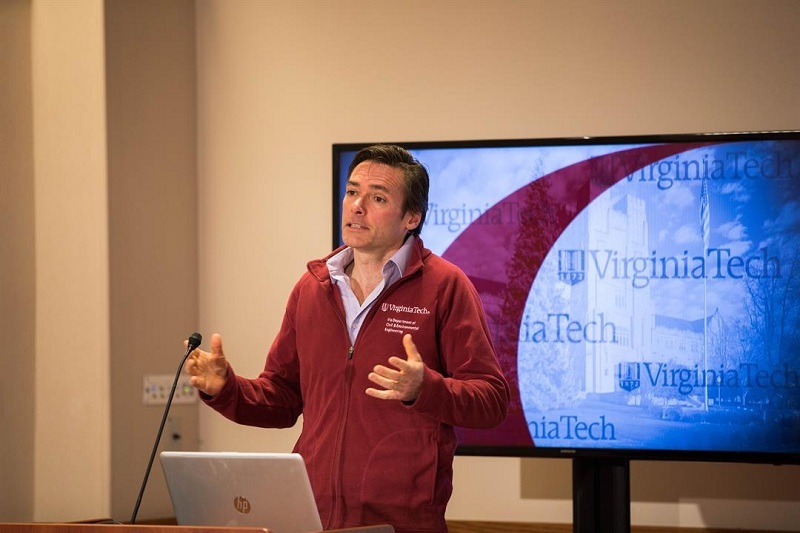 Virginia Tech researcher Marc Edwards said Friday that, after several rounds of testing, lead levels are back to normal — for a city with old lead pipes. He recommends the continued use of filters and warns of a “crisis of confidence” among residents who blame government for the water problems.